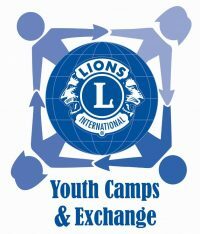 The Lions International Youth Camp and Exchange Program is life-changing. Participants enjoy a unique cultural learning experience living with an Iowa host family and taking part in a camp. The Lions Clubs of Iowa International Youth Camp is a SMOKE FREE CAMP held annually. The 2019 camp dates are July 14 – 20, 2019. The camp location is the Iowa 4-H Center in Boone, IA. Youth will be met on arrival by the host family or a Lion from Iowa. The youth will be hosted prior to camp and transported to the camp on opening day. Following camp the youth will again be transported back to the host family or in some cases taken back to the airport for departure if travel has been arranged for that day, otherwise the youth will be transported back to the airport in time to board their return flights. Campers will be hosted before camp no earlier than 06/30/2018, and after camp no later than 07/28/2018. This program is open to youth ages 16 -18. Total number of campers will be limited to 30, with 15 male and 15 female campers, with a limit of 2 campers from any one country. We will accept children of Lions as well as Non-Lions. Dietary needs are something that we need to be aware of prior to camp. Host Family – Hosting dates are June 30, 2018 thru July 28, 2018. The Camp Fee $60.00 US payable in cash at registration. Campers must use the electronic version of the application, as hand written applications will no longer be accepted. Hard copies of applications with pictures must be sent to Youth Exchange Coordinator by postal service. While at camp, campers will participate in country presentations, daily flag ceremonies, youth talent show (come prepared), swimming, canoeing, archery, a tour of the State Capital, and visits to many area attractions.